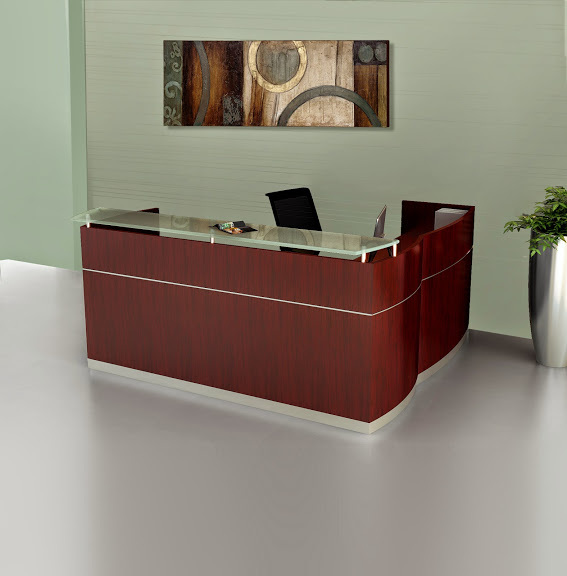 This modern wood veneer guest reception desk with storage pedestals provides ample operating space. 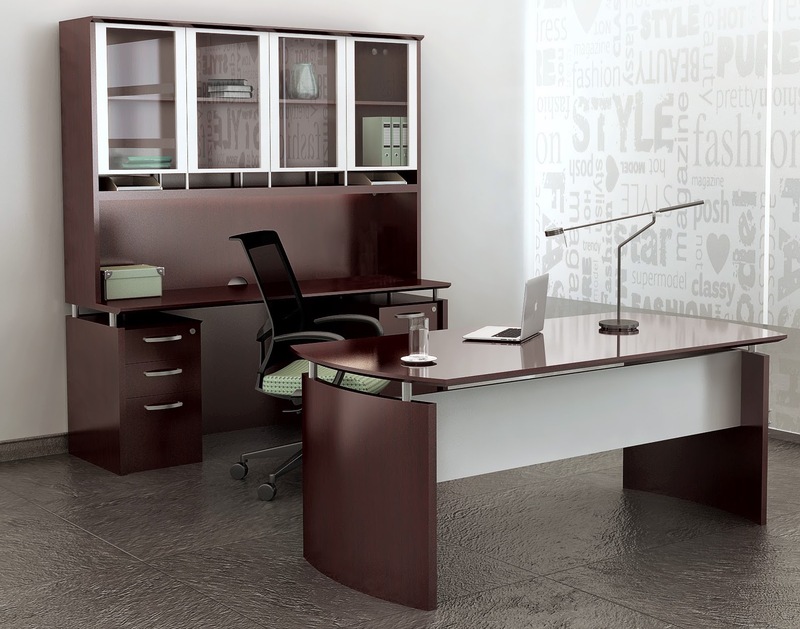 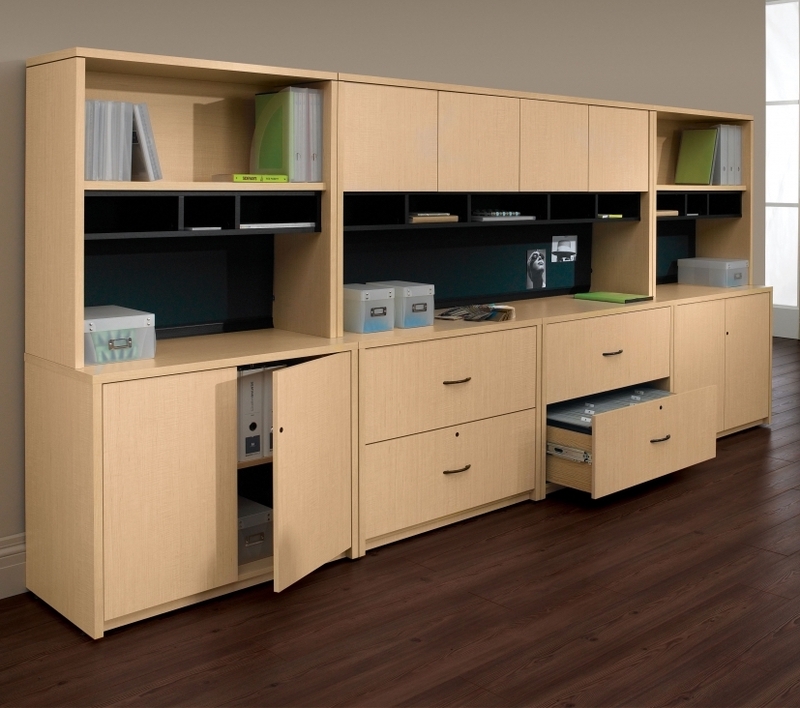 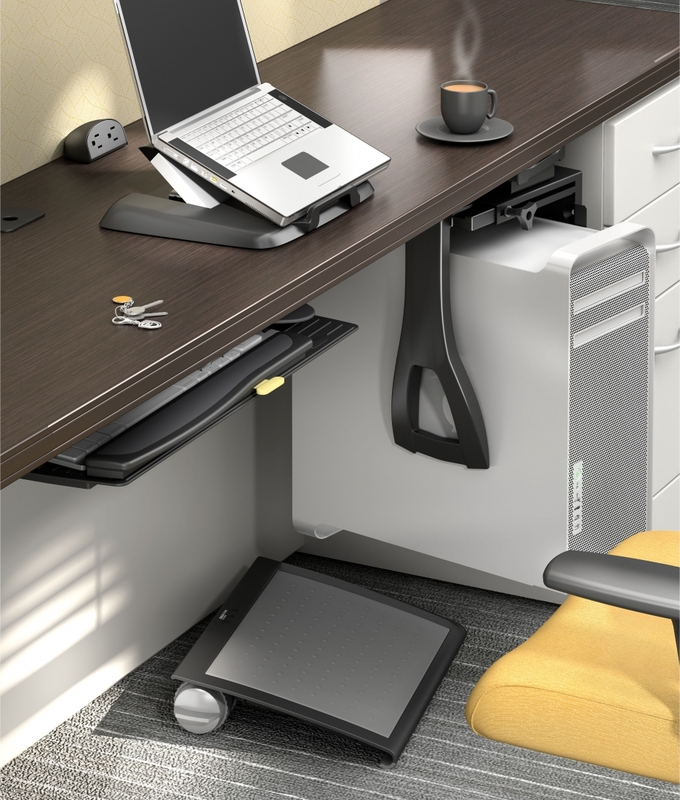 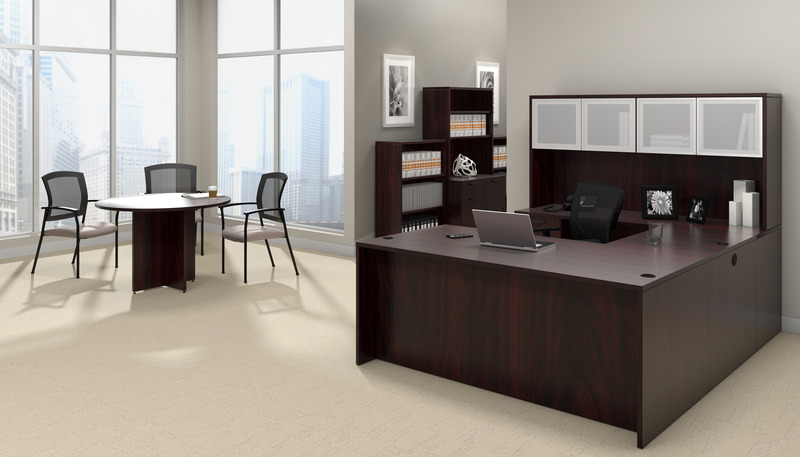 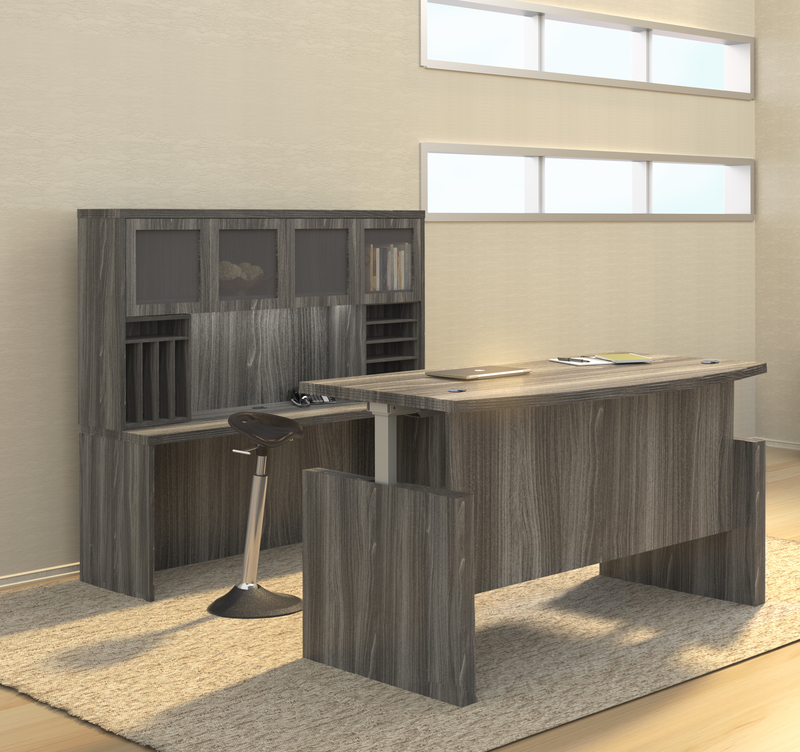 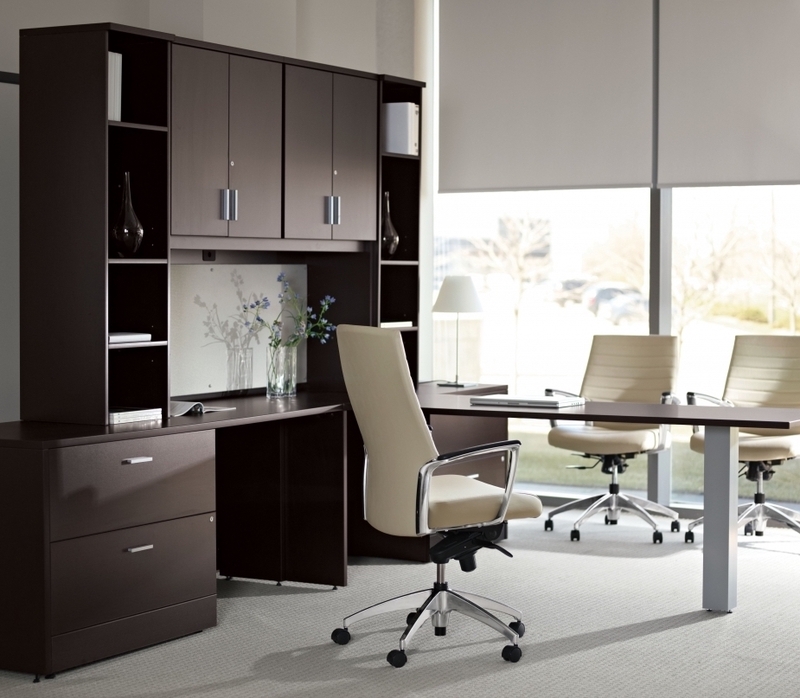 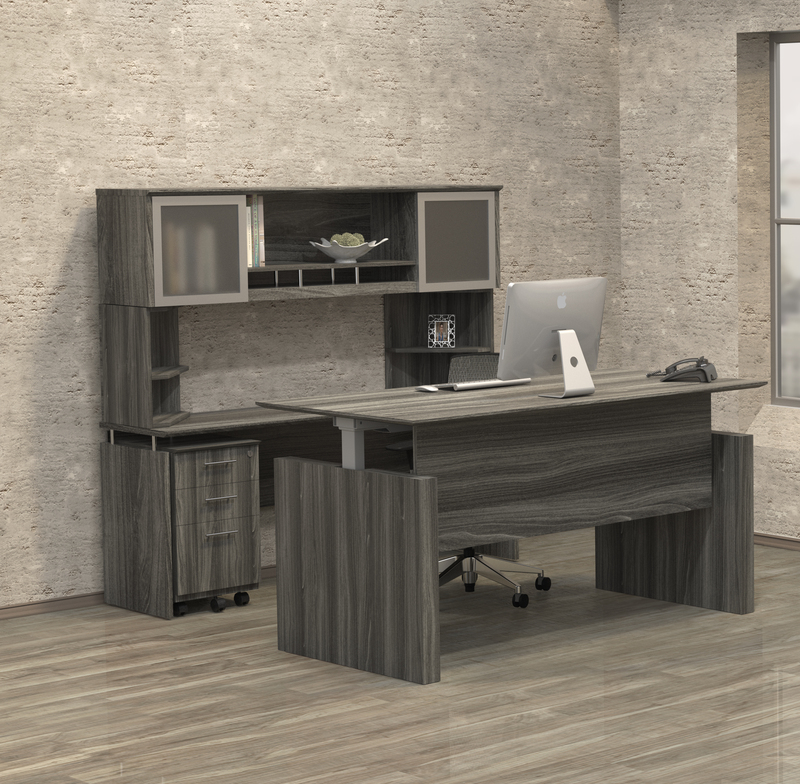 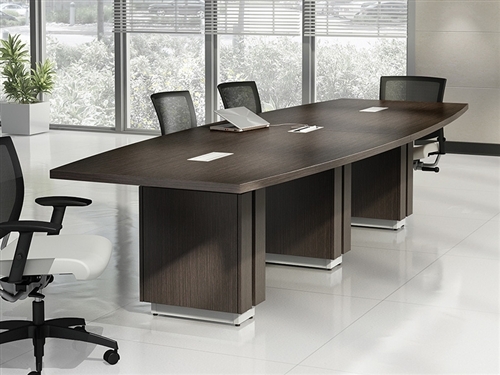 The NRSLBF model Mayline reception staton is available in a choice of 2 elegant wood veneer finish options that perfectly showcase the silver desk trim and tempered glass transaction counter. 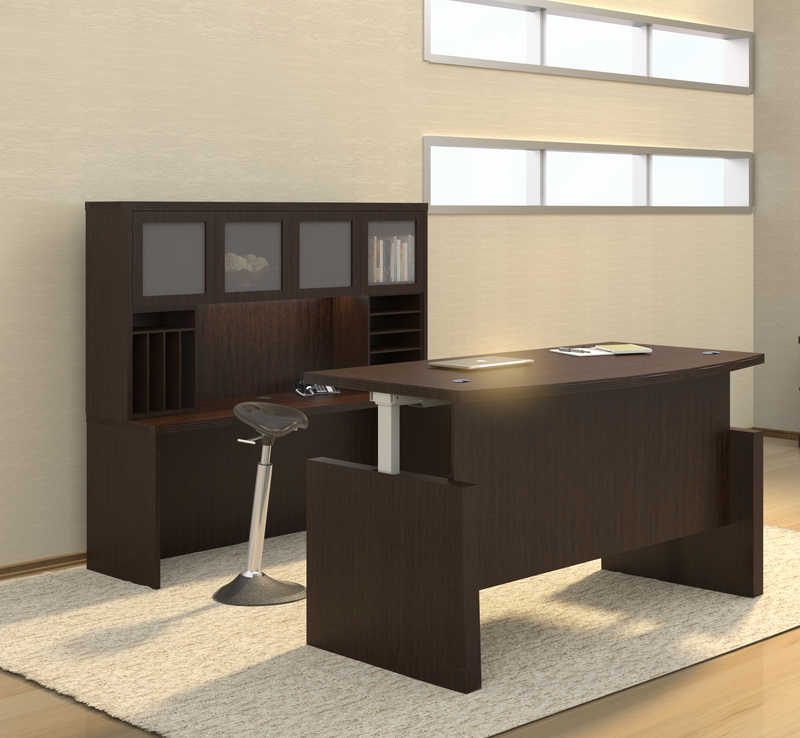 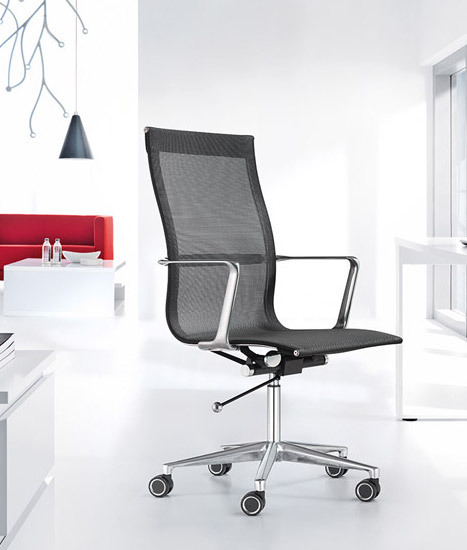 Matching Mayline Napoli reception furniture solutions including coffee and end tables are available.